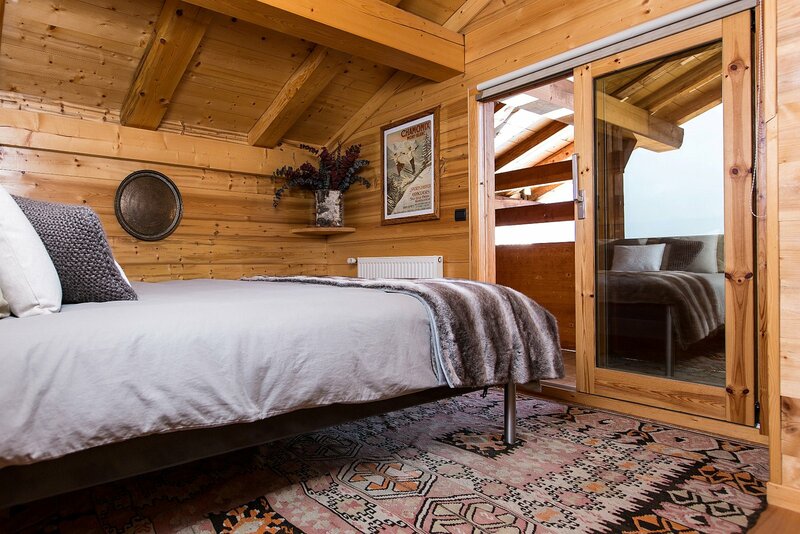 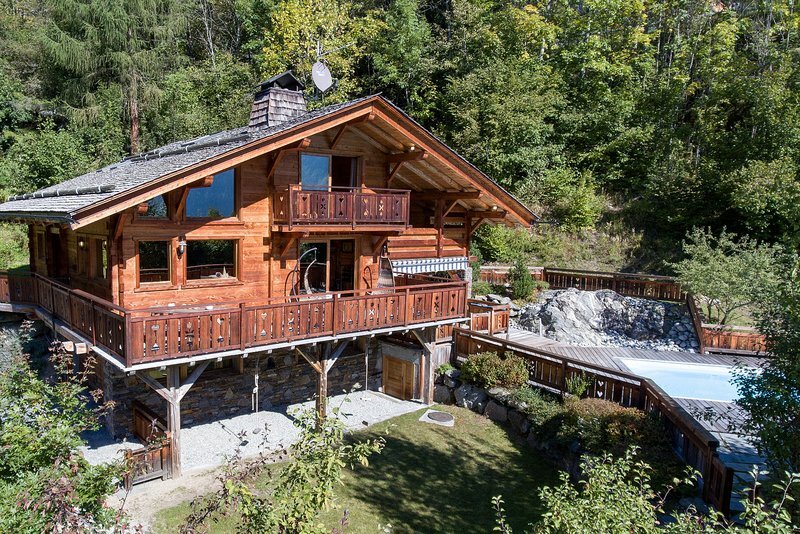 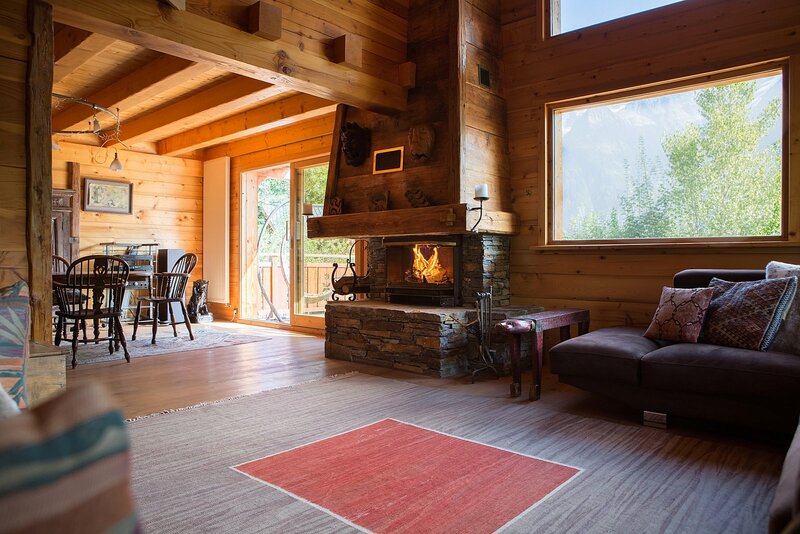 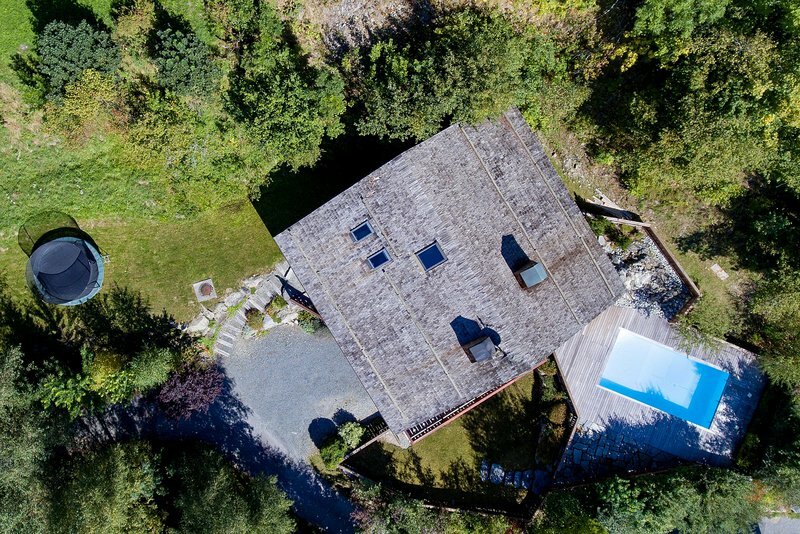 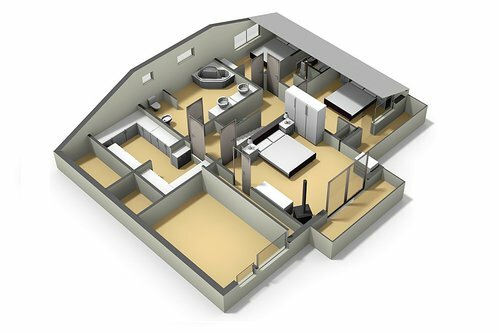 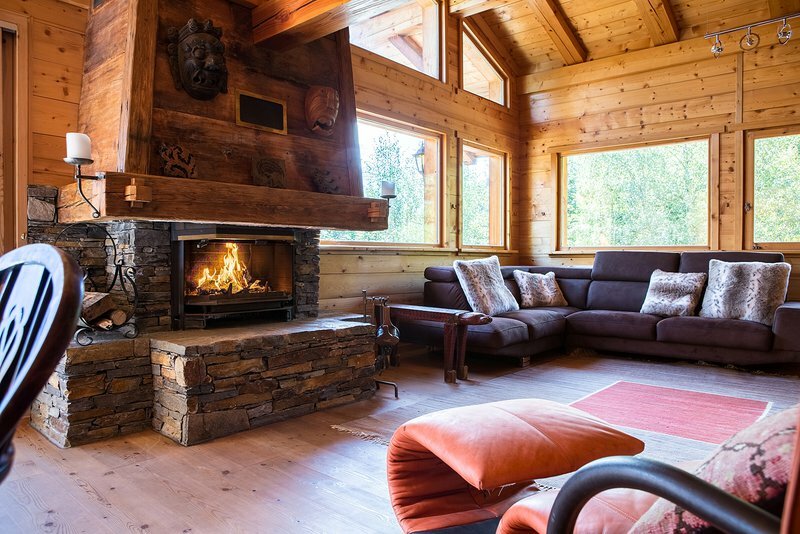 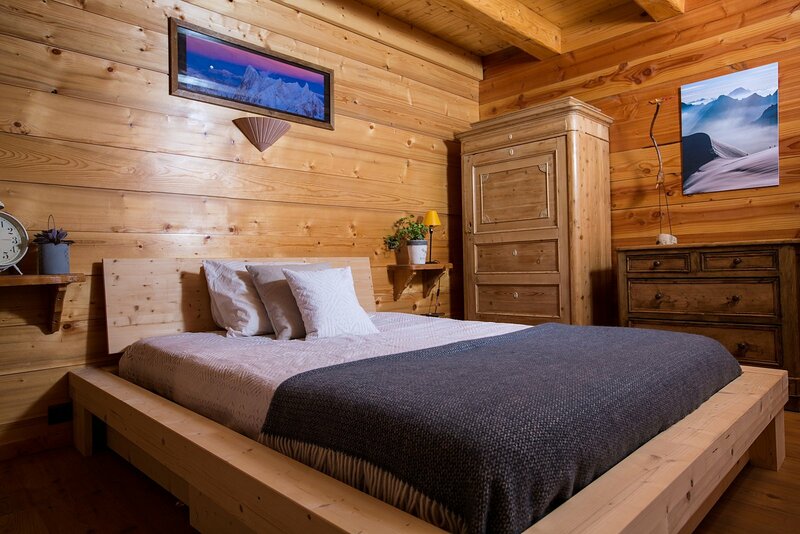 A 215m² 5 bedroom chalet built over six half-levels and set on 2000m² of land, in a calm residential area of Le Coupeau in les Houches. 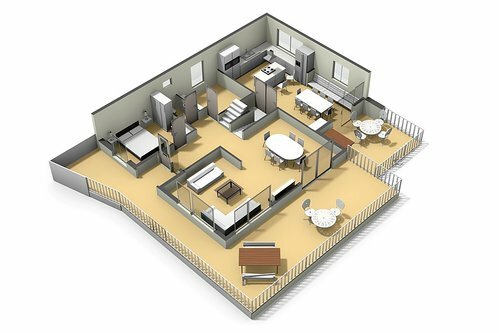 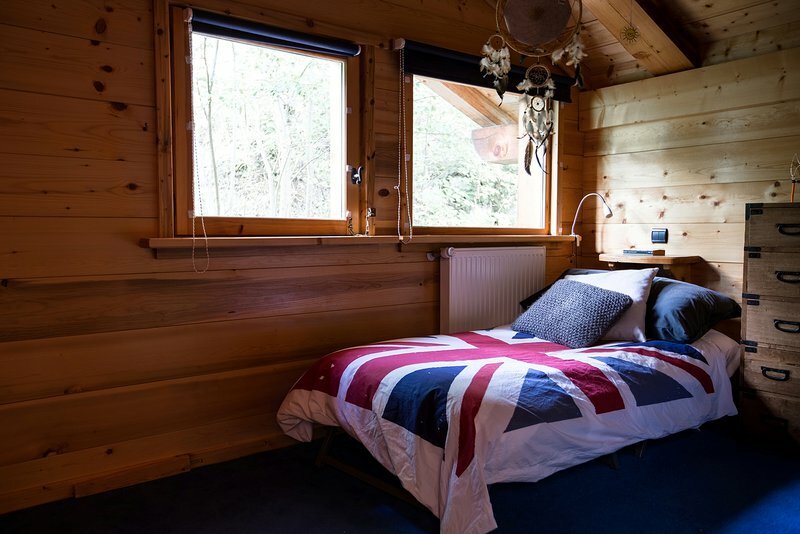 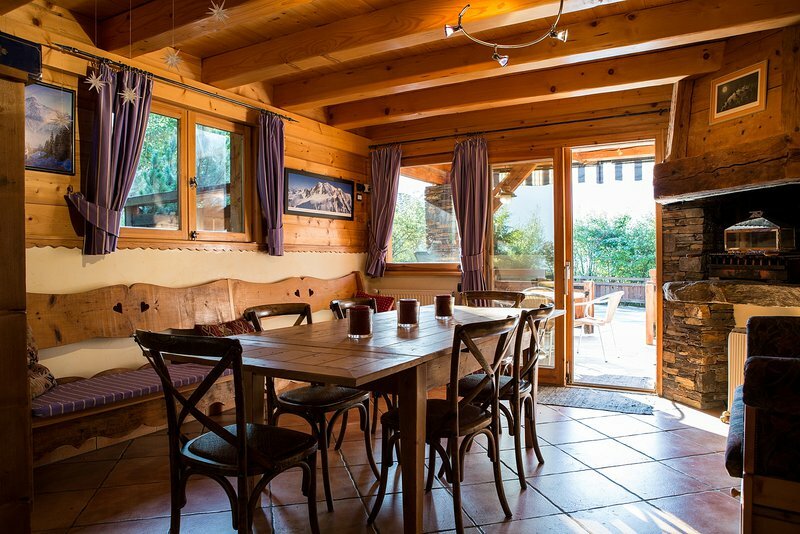 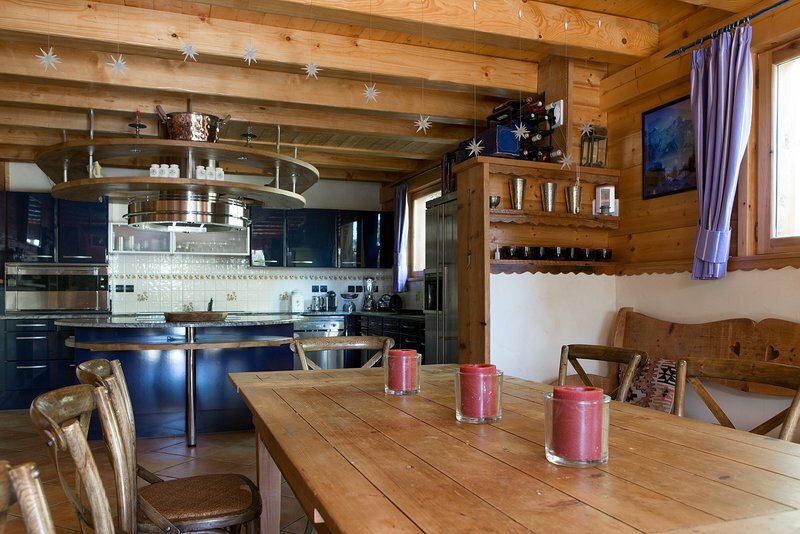 The chalet has lots of living space and a sunny deck surrounding the swimming pool and jacuzzi. 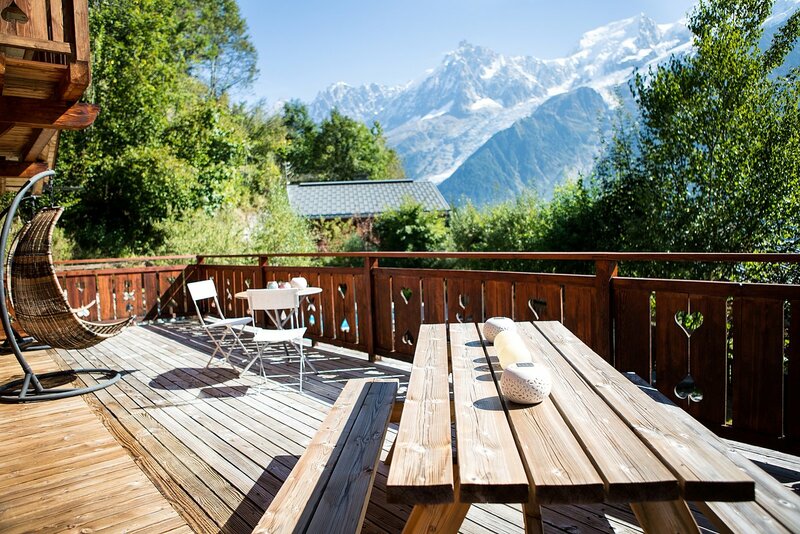 This deck has the most wonderful views and lead through to mature garden. 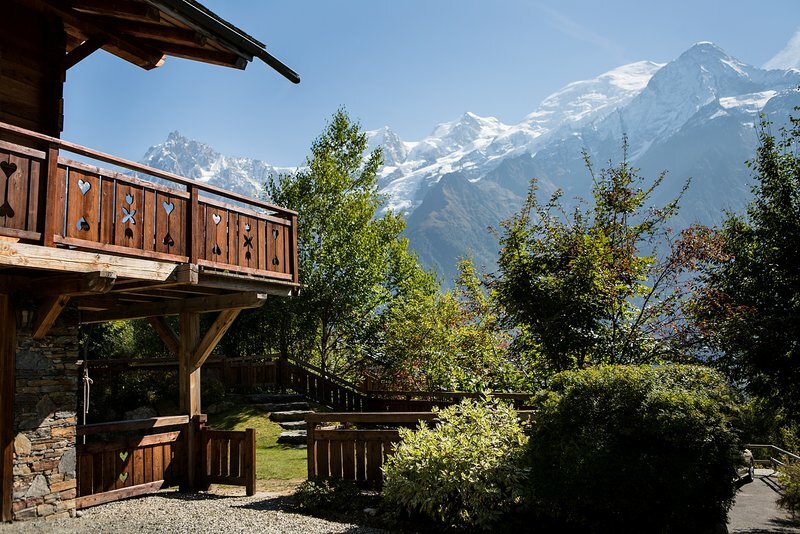 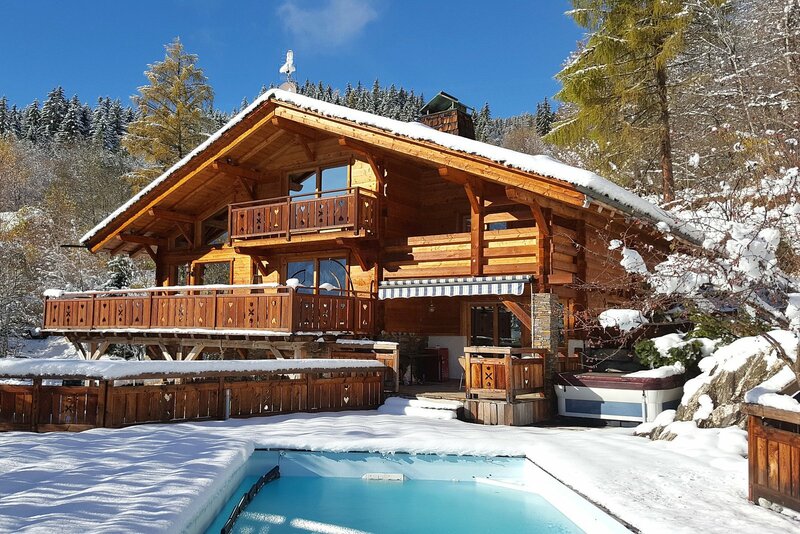 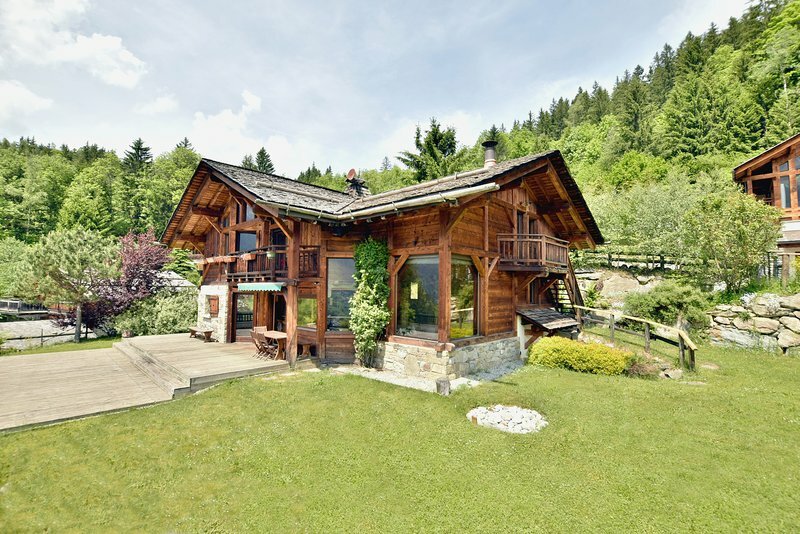 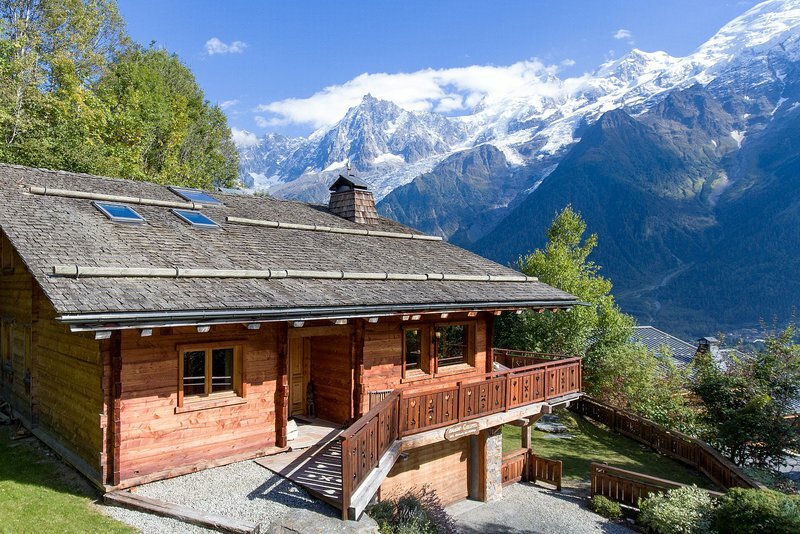 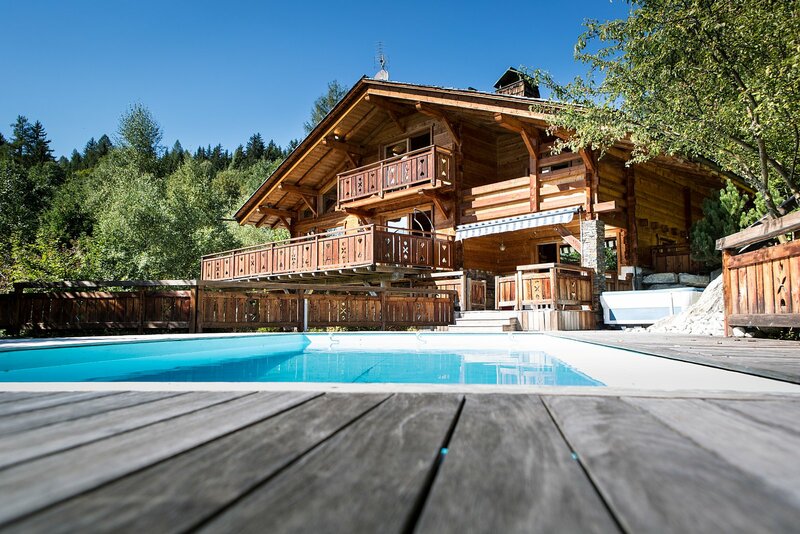 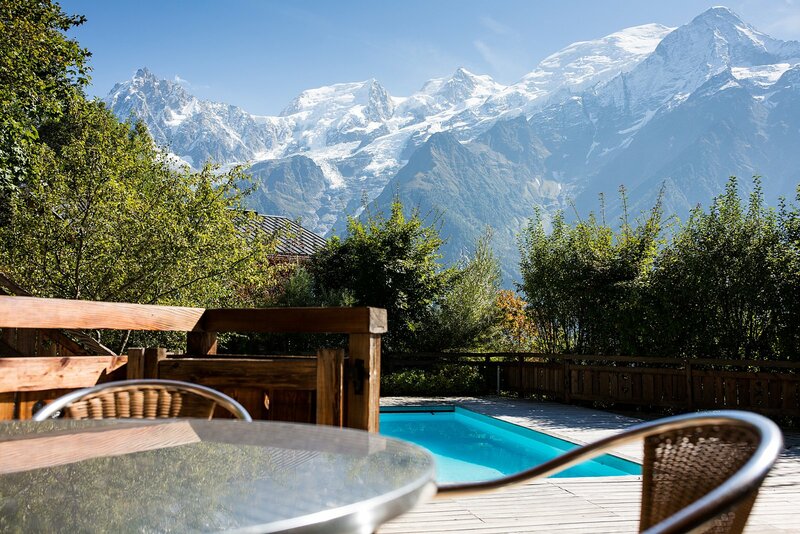 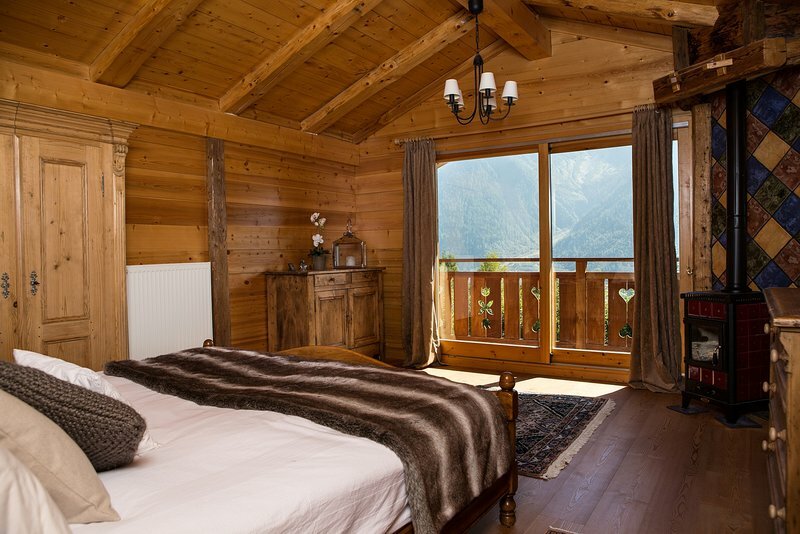 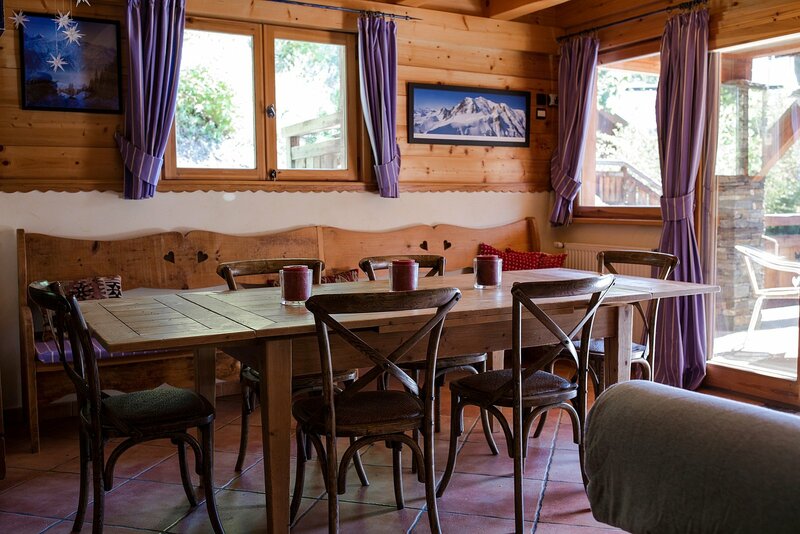 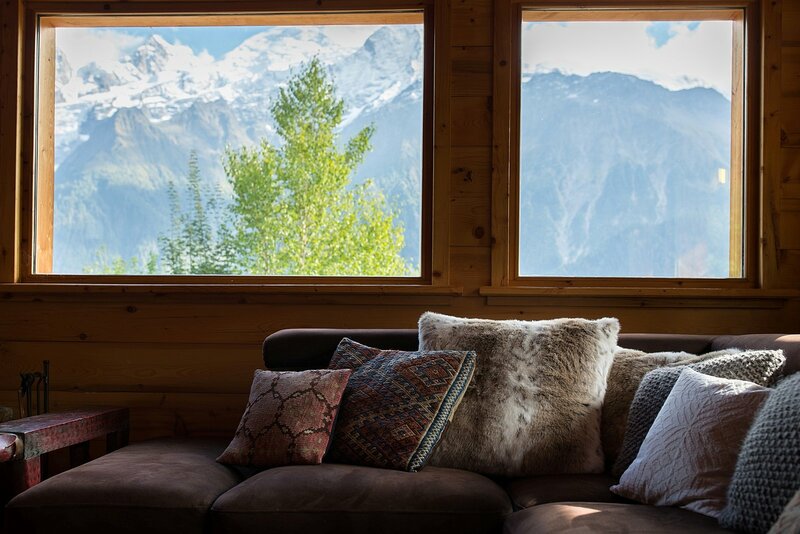 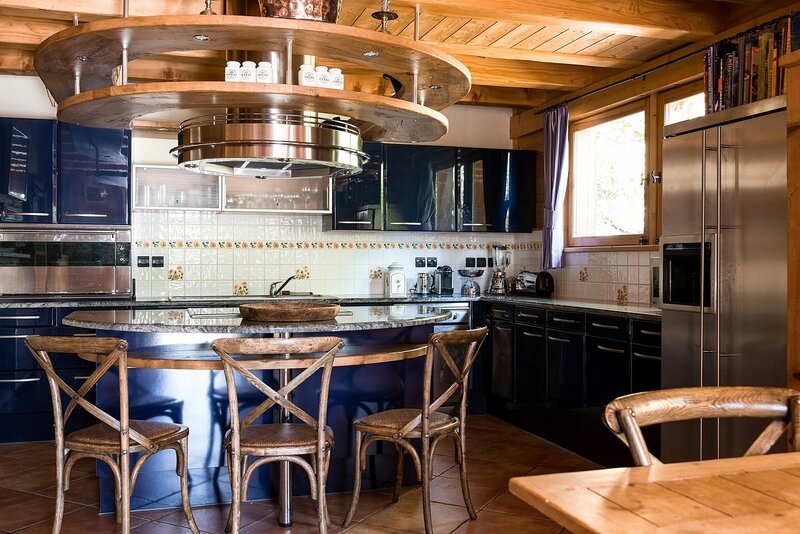 This chalet is in an exceptional location with breathtaking views across the Valley and of the Mont-Blanc range. 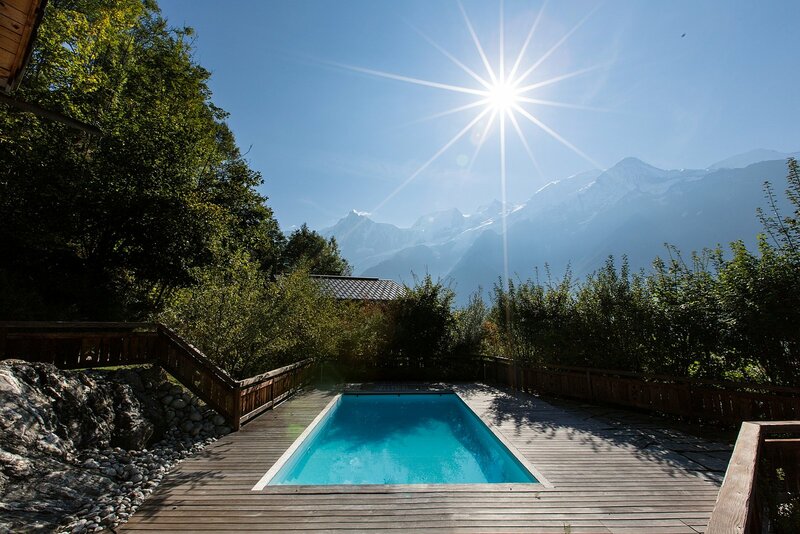 This side of the Valley is renowned for having long sunshine hours throughout the year. 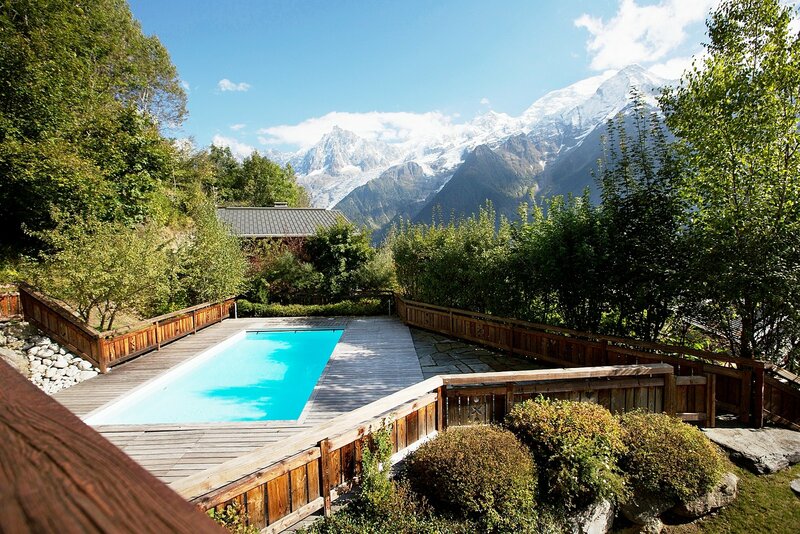 A perfect spot to lounge by the pool.